In the evening flocks of grackles wrote Vs against the mango sky. The setting sun shone through the dusty dome windows of Las Monjas one block west, and I could see the towers of five more colonial churches from my rooftop. Almost every day beneath the windows of my apartment passed processions of pilgrims, celebrants, or mourners. 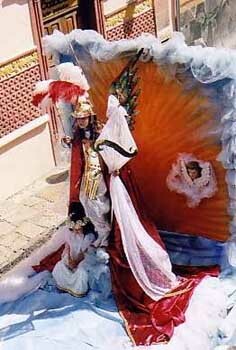 The Virgin sat on the back of a pickup truck or thirty schoolchildren carried an enormous Mexican flag or peppy tuba bands and old men, hats in hand, walked behind a hearse. 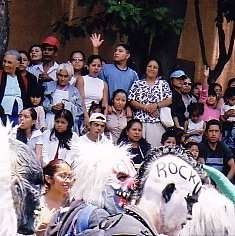 Even so, after two years in Mexico I had overdosed on the traditional fiestas that used to enchant me. As someone who enjoys the Latin passion in the cultures of France and Cuba, I couldnt find the same joie de vivre in Mexico. Mexican allegre was not a moving, pulsing force, but comfort and relaxationabundant good food, bright and happy music, flowing beer and tequila, family togetherness and church. The sole ecstasy I witnessed was in the many fervent religious activities. I missed the zest and energy on the street and in the music that I found so compelling elsewhere. I enjoyed greeting friends and acquaintances whenever I stepped out my door, yet the population was transitory, and new friends were hard to keep, often leaving after a short stay to return home to Canada or the United States. Real relationships had little time to develop. My circle of friends had changed. My favorite bar had closed, and even before that I stopped going out in the evening. I found that without realizing it, I was drinking too much, too often, as a way to be with people. Lately I might go to Harry Bissetts on Martini Night, and after two Cosmos, the smoke and the cackling Texas laughter would drive me around the corner and home. I read, worked on the computer, wrote articles and emails to the world out there, and watched Mexican TV. The folks I counted on were the women in my cancer support group, my friends at church, the group of writers who met at my house weekly, my fellow flamenco students, as well as the two or three friends I made at the bars when I first arrived. I had some Mexican friends by now, too, yet somehow there was always a gap between us which wasnt a problem of language. I guess it was cultural differences, although I hated to think that was possible between people who cared about one another. There were several different social groups in San Miguel, and I didnt fit into any of them: the cocktail party circuit; the landed house builders, remodelers and decorators who had inexhaustible discussions on whether to paint the sala saffron or aubergine; the old hippies in beads; the Texas Junior League women with perfectly streaked blond hair and chunky silver jewelry active in charity fundraisers; the gringa owners of boutiques and businesses; the newly reinvented artists; and of course the Mexicans who had little time to spare away from their work and families. Where I felt empowered, at my best, and at home was with dancers. 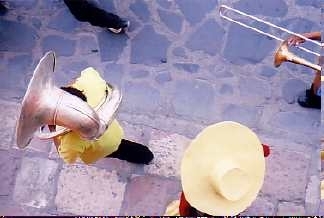 In San Miguel I had searched out dance in studios, schools, clubs, theaters, parties, and discos. I tried Sweat Your Prayers on Sunday mornings, folk dance at the Bellas Artes, contact improvisation, Mexican folklorico, salsa in classes and clubs, and took the bus to Mexico City in search of tango, the immigrants dance. More than a hundred years ago in Buenos Aires, the lonely porteno, far from his loved ones in Europe, was drawn to the connection and nostalgia of tango. In Mexico ones family is large and ubiquitous, and people live for the moment. Unlike me, the Mexican has no need to search for a family in a milonga, and Mexican tango is almost an oxymoron. Finally it was flamenco that saved my body and spirit. And after a student flamenco recital in which I did a solo belly dance, opportunities presented themselves to teach La Danse Orientale, to perform, to collaborate creatively with the flamenco teacher and musicians. But then what? I couldnt afford to keep going in the financial hole every month and manufacturing my own artistic outlets. I knew I couldnt live forever in the expensive Brigadoon Gringolandia that was San Miguel. If I did, I’d soon be one of the crones sitting in doorways with knarled hands outstretched to passing tourists. Much of the Happy Hour conversations now centered on how the town had changed and how expensive it had become. I had done my best to live within my budget, moving three times to cheaper and smaller San Miguel apartments, nevertheless from the beginning it had been an impossible dream in the most costly place to live in Mexico. I had increasingly gone into my savings, and soon they would be gone if I didnt do something drastic. 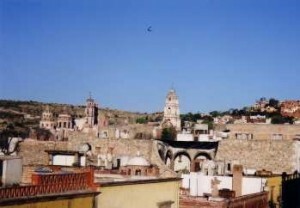 San Miguel de Allende had been my home throughout three icy winters when I wore dance tights 24/7 and my electric throw over my shoulders on a long extension cord, heating my apartment with pots of water boiling on the stove. And during two hot and breathless springs, when dusty winds covered the town filling my lungs with desert sand, bus exhaust, and dried dog and burro dung. The weather-perfect months in between I revelled in the afternoon rains, the ideal temperature, and the dazzling colors of the bougainvillia-bejeweled colonial architecture. 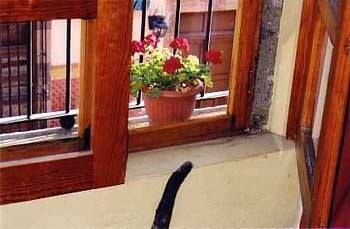 Now the pleasure I found in San Miguel was no longer enough, and not for the rest of my life. I learned a lot in Mexico, I had made friends I cherished, I loved my apartment and the beauty of the town, where, like at Chateau Rodney in Los Angeles, I heard church bells and train whistles calling me to places far away. It was time to move onto someplace where the cost of living was less, where there was symphony and ballet and art museums, to someplace where I could dance more than solos. I yearned for the embrace of tango. After more than a decade of searching, it looked like my future would be in other places, other hemispheres. I missed Los Angeles and the United States, and if wishes could make it so, I would still be living with my family in our house in Los Feliz under the Hollywood Sign. I had twice paddled in the River Styx, and now Ive been blessed with the chance of forging another life. I would have designed a different path for myself, but my life unfolded without consulting me. Once again I had to bid a painful farewell to good friends, a mixed group of beloved people who had welcomed this stranger into their homes, lives and hearts. I was going to miss the man selling cigarettes and sodas on the corner, the flower seller who made the rounds of all the bars and restaurants every night, the girl who practiced her cello while working in the gallery below my apartment. I was worn-out from the partings and leave-takings of the last twelve years. But in Mexico, where nothing was as it seemed, manana didnt mean tomorrow, and Adios! was not goodbye.